One Step Up in Park Street Area does a range of delicious food and drinks. Try the Deviled Crab and Fish Fingers for nibbles with a tipple of your choice. Love seafood? 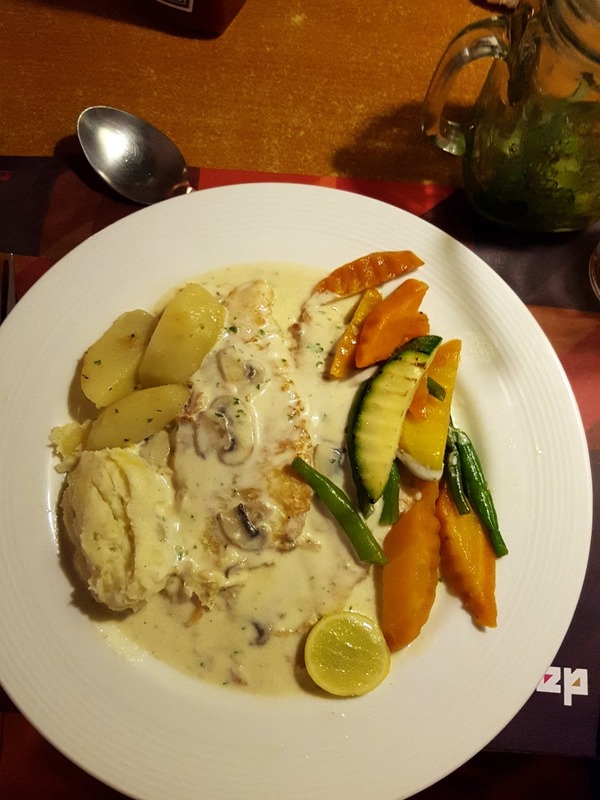 You should definitely try their Fish Steak with mushroom sauce or the delectable Fish Meuniere, they were both delicious. And all of this for INR 800 per person is a great deal for the food is worth every penny. The air conditioning system needs an overhaul. Have You Seen The Art Popping Up On Kolkata's Electric Boxes Yet?